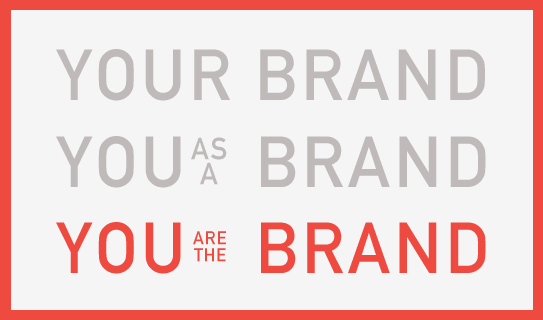 Do You Embody Or Represent Your Brand? You can establish/own/run your brand; you can represent your brand; or you can literally be and fully embody your brand. If you create a brand that is solely based on yourself (obvious examples include a fashion brand, thought leadership brand, Etc), know that if you ever have the desire or need to re-brand and/or re-position, you will face many challenges. Sounds logical after the fact, but as you go down that path of associating your name with the brand, it is easy to let the ego, or the simplicity of finding the domain name, run the branding process and push you into the limelight for good (may that actually be for better or worse!). The issue of personal brand re-positioning will gain public attention during the US presidential election next year as we will be faced with two very different (and different types of) personal leadership legacy brands. Who is Hillary Clinton 2016 is what I pondered in The Washington Post (read this past Sunday’s cover story here) as we are collectively trying to re-define what her brand stands for today. Is the latest Bush brand in fact what the general public would assume it being based solely on his brand inheritance? I am not in politics (and smart enough not to discuss politics as part of my professional blog), but this comparison is the easiest way for you to watch the strategy, drama, and difficulty of personal brand re-positioning unfold on the big stage. If you decide to be your brand, like a Martha Stewart did so famously before you, the coming months might make you re-consider and opt to solely represent your brand instead.